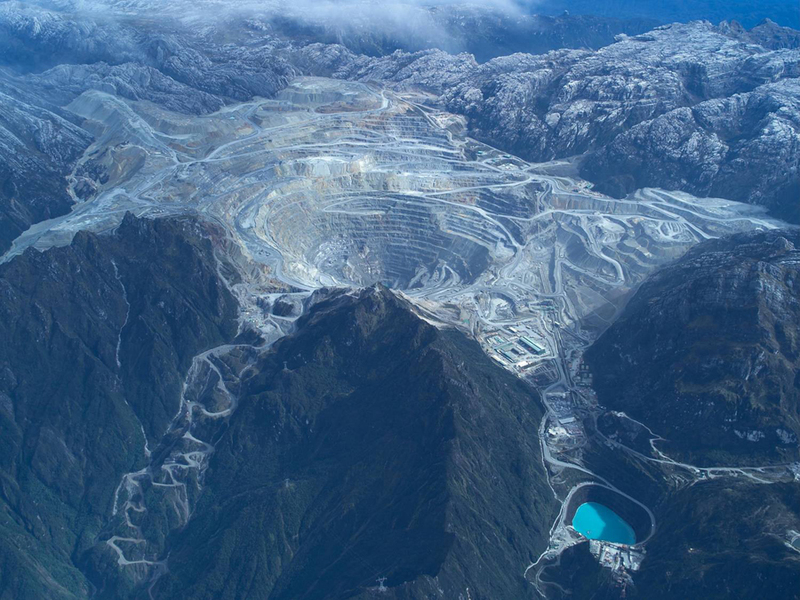 Freeport's iconic Grasberg mine in Indonesia's remote Papua province produced more than 500,000 tonnes of copper and over 1m ounces of gold in 2016. Shares in Freeport McMoRan Inc (NYSE:FCX), the world's largest listed copper miner, were down 1% in pre-market trading Tuesday on the company’s decision to halt operations at its Grasberg mine in Indonesia. The firm’s local unit, which has not been able to ship copper from the mine in over a month due to a ban on concentrate exports that kicked in on January 12, also said Tuesday it has begun sending workers home, Reuters reports. The shutdown, which effectively happened Friday, comes after PT Freeport Indonesia ran out of space to store copper that has been backing up at the site. It also coincides with an ongoing strike at BHP Billiton’s Escondida copper mine in Chile, the world’s biggest. Copper has rallied lately as a result of the stoppages at both Grasberg and Escondida and it’s having the best start to a year since 2012. Copper has rallied lately as a result, hitting its highest levels since May 2015 overnight. However it was down 1.2% on the London Metal Exchange Tuesday to $6,030 a tonne around in mid-afternoon trading and it was also trading lower in New York, to $2.76 a pound this morning. The red metal has climbed about 11% since Jan.1, the best start to a year since 2012 for the commodity, which has been named by analysts as the one they expect to perform the best in 2017. Freeport's Grasberg mining complex is responsible for more than a quarter of the Phoenix, Arizona-based company's total output. The miner has been trying to reach a deal with the government of Indonesia to resume exports and previously said that each month of delay in obtaining such approval meant production would be reduced by 70 million pounds of copper and 70,000 ounces of gold. And while it continues to hold talks with local authorities on the matter, Freeport told Reuters that no deal had been reached on the terms that were "necessary and critical" for its long-term investment plans. As a result, the firm said the export ban remained in place. Before the current troubles, Grasberg was set contribute an even greater proportion this year as copper grades improve and gold production is boosted. In 2016, the iconic mine produced more than 500,000 tonnes of copper and over 1 million ounces of gold. The miner’s overall consolidated sales for 2017 are expected to be around 4.1 billion pounds of copper, 2.2 million ounces of gold and 92 million pounds of molybdenum, including 1.0 billion pounds of copper, 460,000 ounces of gold and 23 million pounds of molybdenum for first-quarter 2017.